1984 Cylinder Head milled by Eric Gorr- Makes the hard hitting power of the 82 a lot smoother and faster. 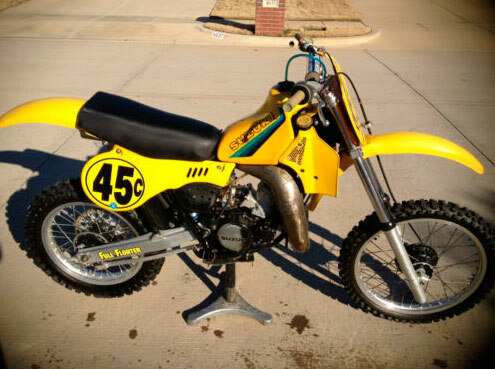 1984 Front Forks – 43mm instead of the stk 38mm. 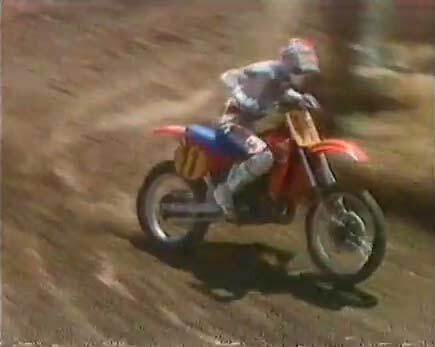 Eric Geboers on the sweet works Honda CR blasting around the track after recovering from injuries at the Hawkstone Motocross Grand Prix 1986. I am asked over and over again what the color code is for the blue paint on the 1984-1990 Suzuki RM frames. 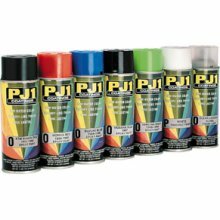 So I decided to write up this post. Rick Johnson, Ron Lechien and Jeff Ward race for Team USA. 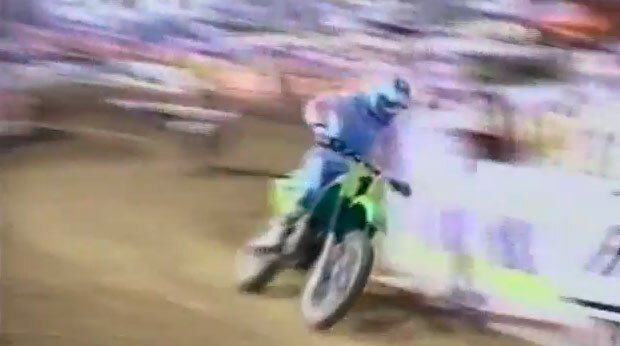 Watch David Bailey, Broc Glover and Mark Barnett duke it out for the 83 Supercross AMA title in the 1983 Rose Bowl Supercross! OK, I’d like to define a couple of acronyms that are very often misused and misunderstood when discussing vintage motorcycle parts and decals. 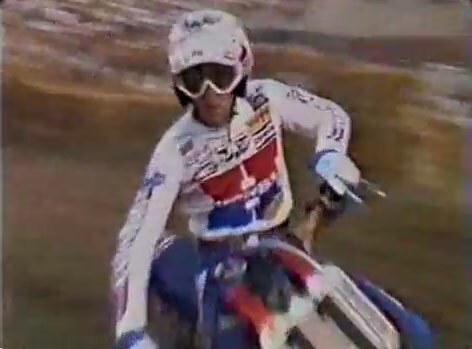 Some great footage of Geboers and others revving out out those 125’s! Such a great 500cc class race. If you’d rather have a brand new CDI, instead of taking a chance on another used one. 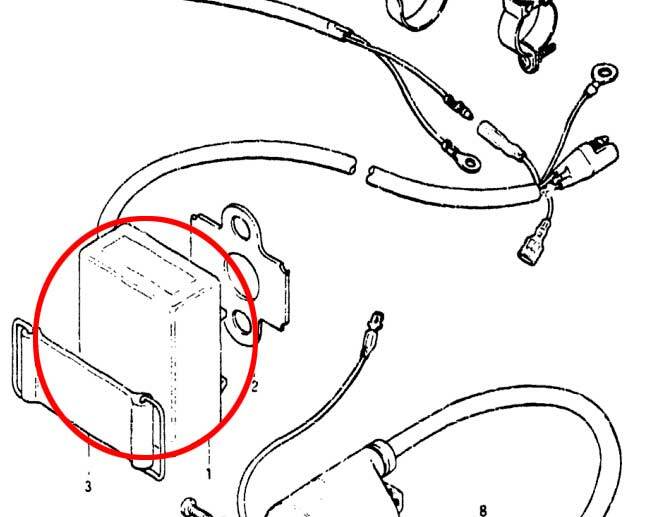 These are direct replacements for the OEM CDI. 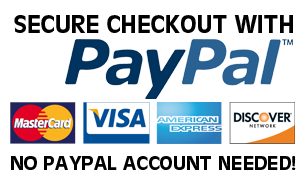 Each CDI is factory tuned and tested and comes with a six month limited warranty. Cool interview with Danny Laporte, talking about living in Europe during the 1982 racing season. 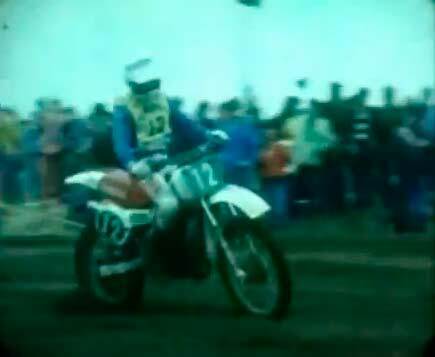 Plus some highlights of the ’82 World Motocross Grand Prix races.